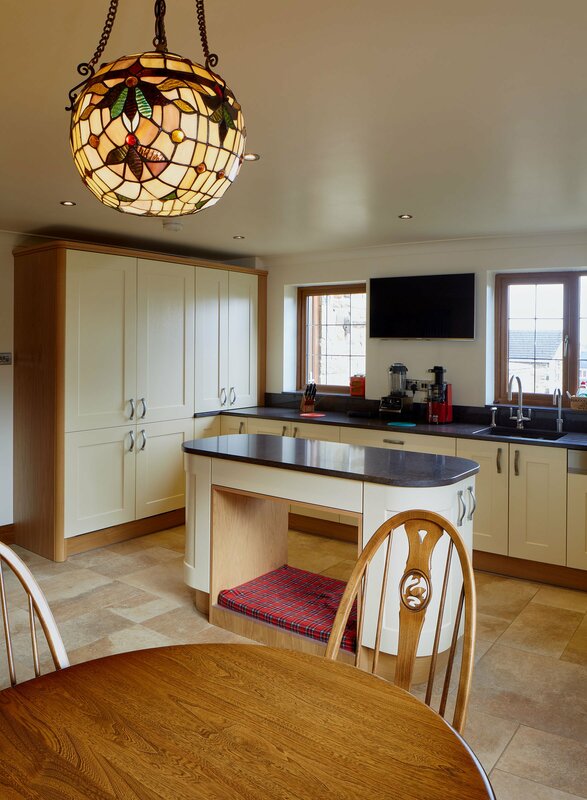 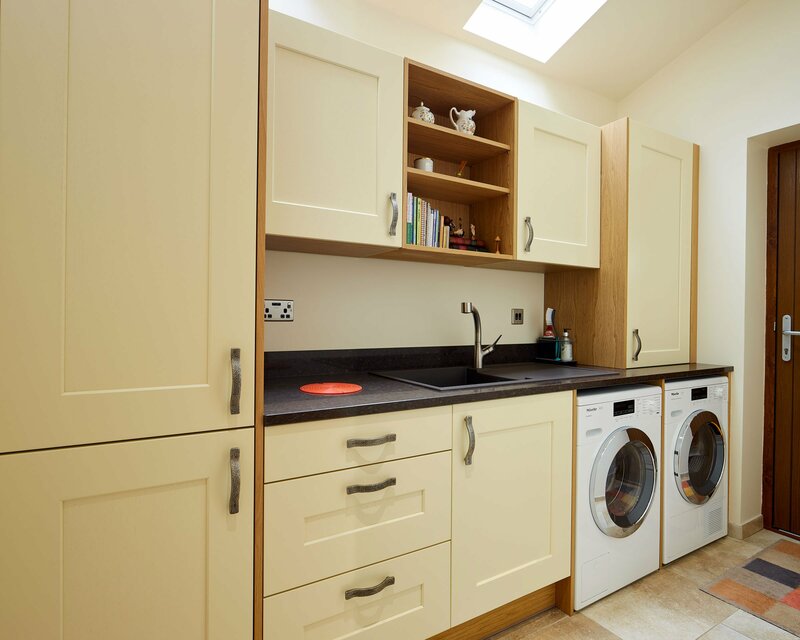 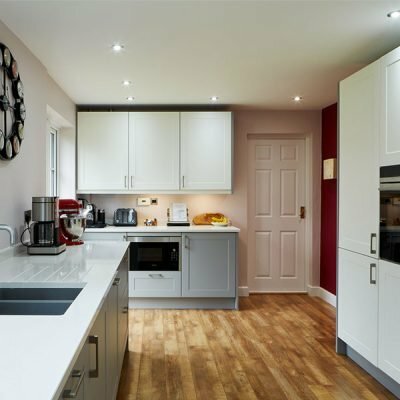 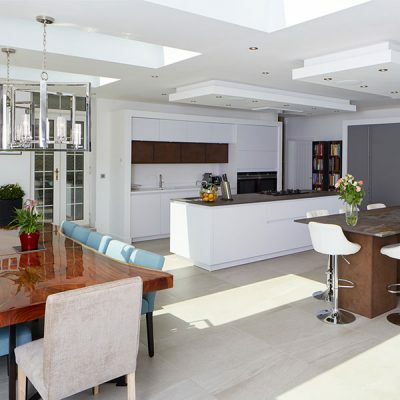 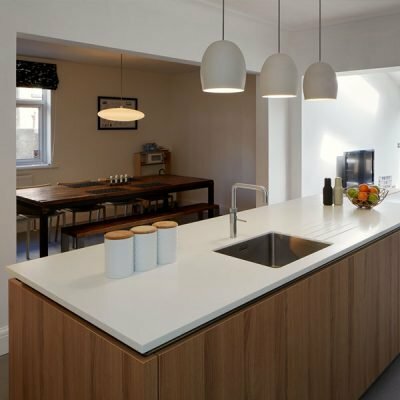 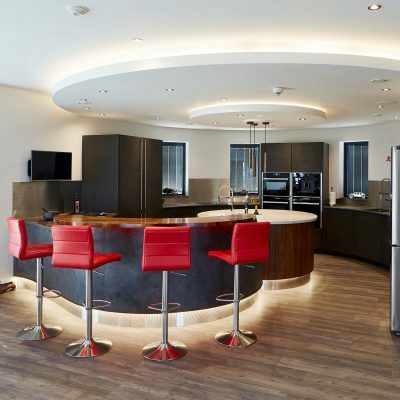 The utility room and kitchen were designed from the architects plans rather than having an existing space to work with, so we had to discuss elements such as natural daylight and colours in detail to ensure they were right for the space. 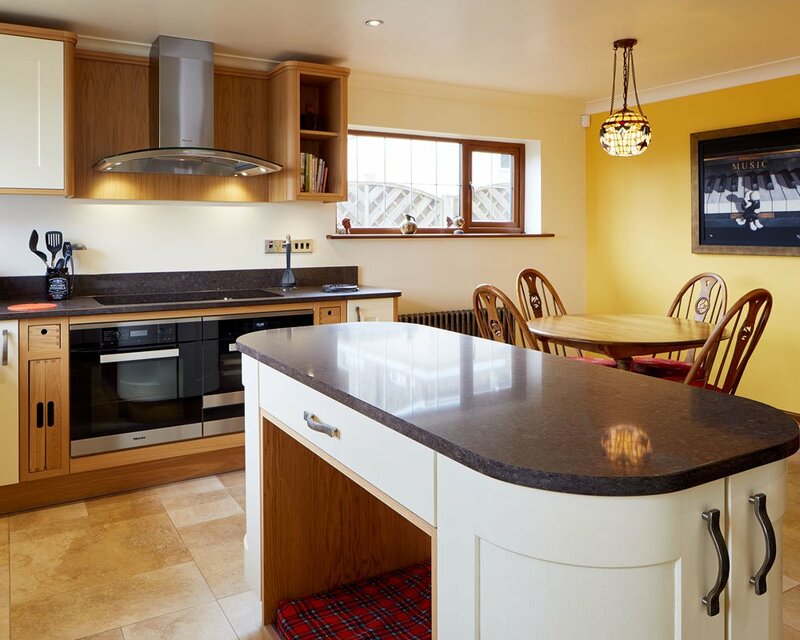 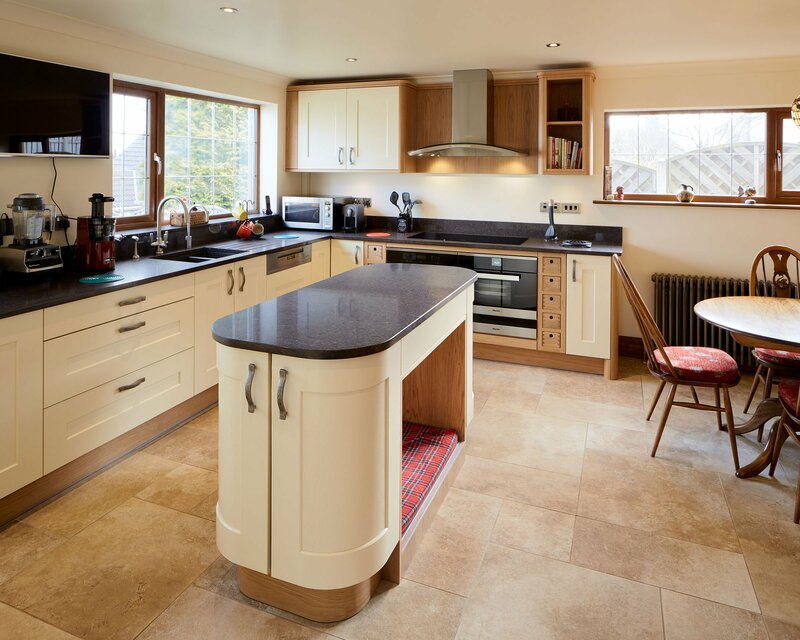 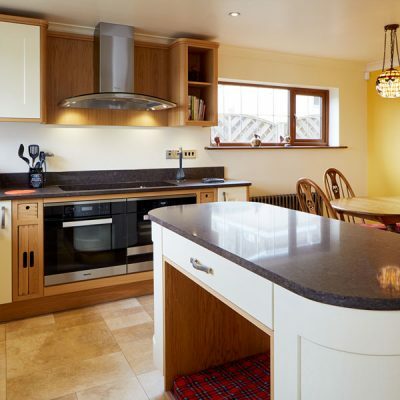 It was important that the kitchen had plenty of work surfaces and room for a large fridge and freezer. 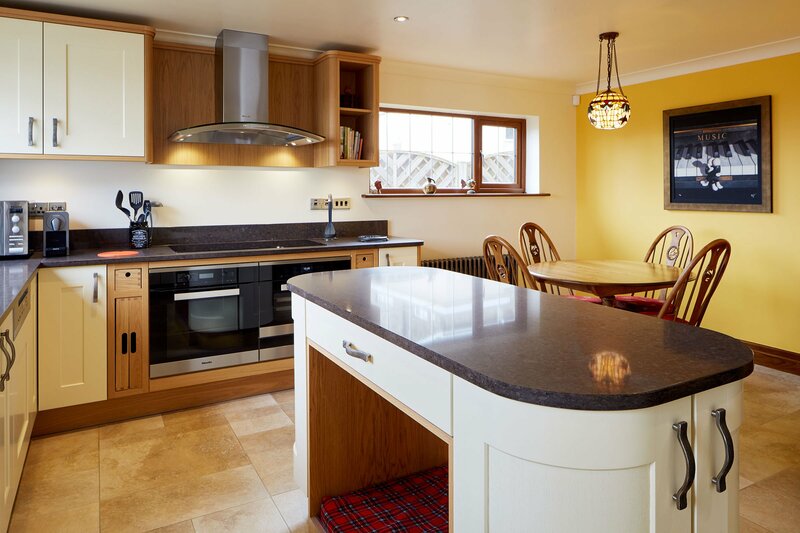 We wanted to maximise the space available whilst keeping an airy, uncluttered feel to the room. 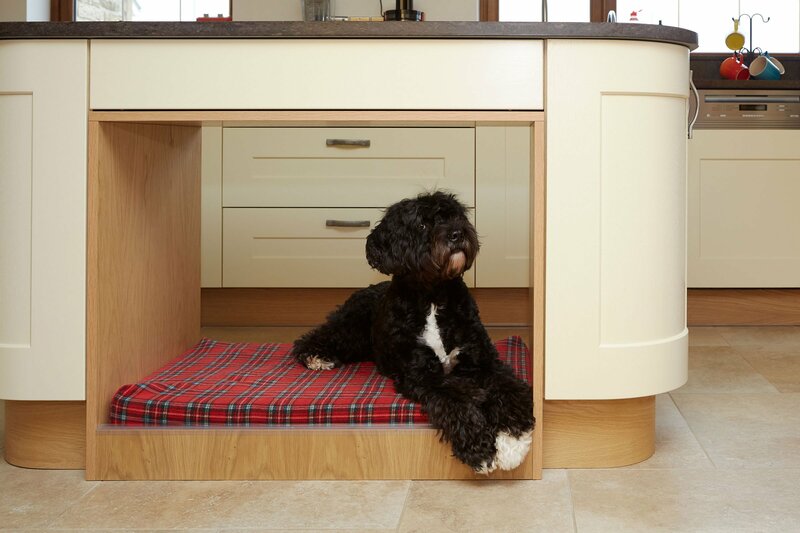 It was also essential that the dog had her own space which would prevent her from getting under anyone’s feet and causing a trip hazard in the kitchen.